I share your passion for the movie. What a great one! Dear Gal, I was really happy to read your review since this movie has a special place in my heart. As a child, I watched the first version with Judy Garland and James Mason and I still remember how much it moved me. 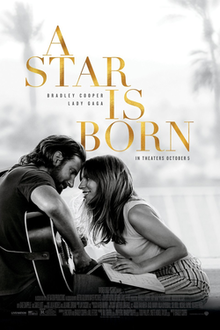 I also saw the second version with Barbara Streisand and Chirs Christoferson which was also outstanding and I will definitely not miss the third one. I am glad you liked it so much. I’ll let you know how I feel about it after watching.